It’s time to get excited about this genre again. This post contains minor spoilers for Set It Up, a new film streaming on Netflix. 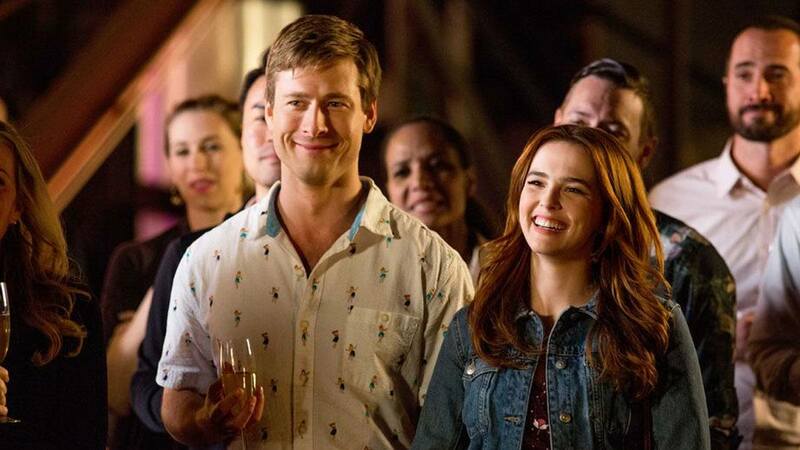 About 20 minutes into Set It Up, Zoey Deutch’s character, Harper, makes the following declaration: “Every great romance has a meet cute, like getting stuck in an elevator or something.” With this super meta guideline, Harper and Charlie (Glen Powell), two assistants in desperate need of a break from their respective bosses (played by Lucy Liu and Taye Diggs), hatch a plan to make their superiors fall in love, starting with that elevator rendezvous. If you’re at all familiar with how a typical romantic comedy works, then you can probably guess how the movie ends. Set It Up arrives at a rather exciting time for the genre. Romantic comedies have never really gone away—they just haven’t been done well, especially lately. Sure, there have been some bright spots (Trainwreck, The Big Sick), but most have been underwhelming attempts (Home Again, Who Gets the Dog?) at a genre that once looked so easy to master. With Set It Up, Netflix is brazenly paving the way for a rom-com renaissance of sorts, following the release of When We First Met (photo booth meets Groundhog Day), The Kissing Booth (high school crushing), and last month’s Ibiza (Gillian Jacobs hooks up with the guy who played Robb Stark on the famous party island), just to name a few. On the non-Netflix front, you have the Crazy Rich Asians adaptation waiting in the wings, along with the long-awaited Mamma Mia!sequel/prequel. Good, hearty rom-coms are here again. And while Hollywood may never be able to restore that feeling you get from watching Matthew McConaughey deliver a cheesy monologue, the forecast has never looked better. Which is why it made sense to cast Deutch and Powell, two people who had instant chemistry and had already worked together on Richard Linklater’s 2016 comedy, Everybody Wants Some. “In fact, our problem was they had too much chemistry,” Scanlon said. “Who’s going to not see it in the first couple of minutes?” What Scanlon had in her hands was pure rom-com gold: two leads that allowed the film to unfold in typical rom-com fashion without ever feeling too rushed. Even if you’re folding laundry or texting during Set It Up, you’ll still somehow experience the joy of immediately identifying the film’s two most unlikely love interests, acknowledging that they belong together despite their differences, and ultimately, watching (or hearing) them fall in love. Again, when this process is unforced, natural, and makes you grin an embarrassing amount, you can’t help but also be swept off your feet. If there really is a changing of the guard, with Netflix at the forefront, by all means, proceed. The rom-com drought is almost over. Even if you can’t see it, things feel pretty good right now.